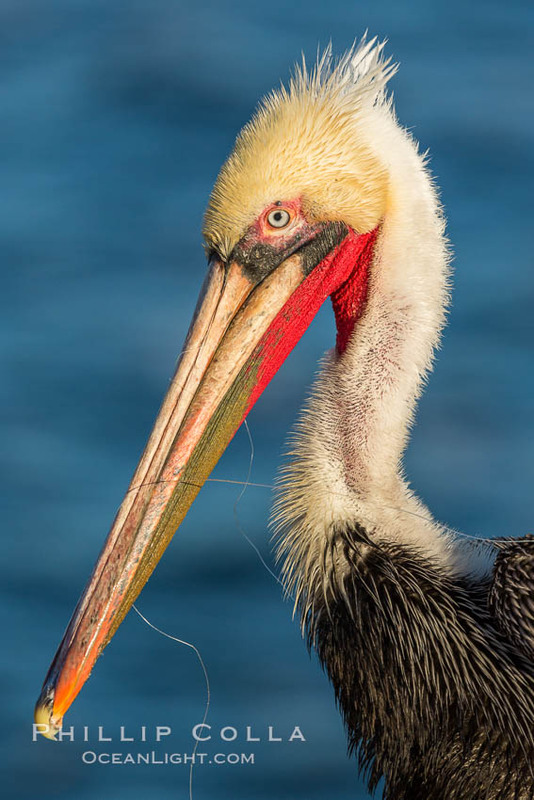 Unfortunately, I have another image of wildlife entanglement to share, this time a California brown pelican (Pelecanus occidentalis) entangled in monofilament fishing line. This seabird appeared to me to have ingested a hook or lure, so that one end of the monofilament fishing line was down its throat while the remainder of the line was wrapped in and around the pelican’s beak and neck. I have other photos of monofilament fishing line injury to marine wildlife. I also had a blog post some time ago about Seabird and Sea Lion Entanglement Photos.